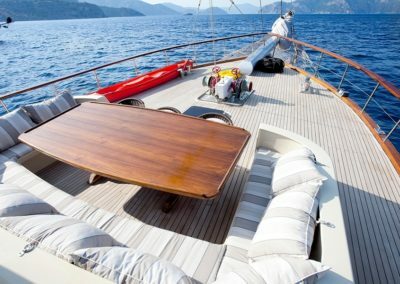 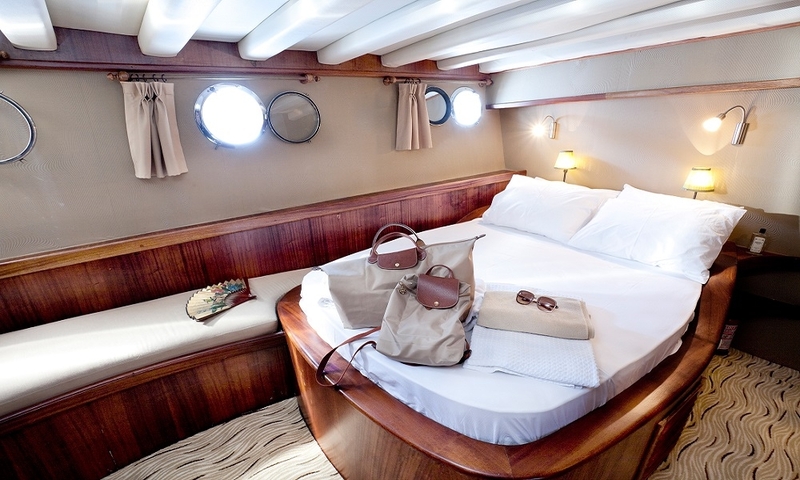 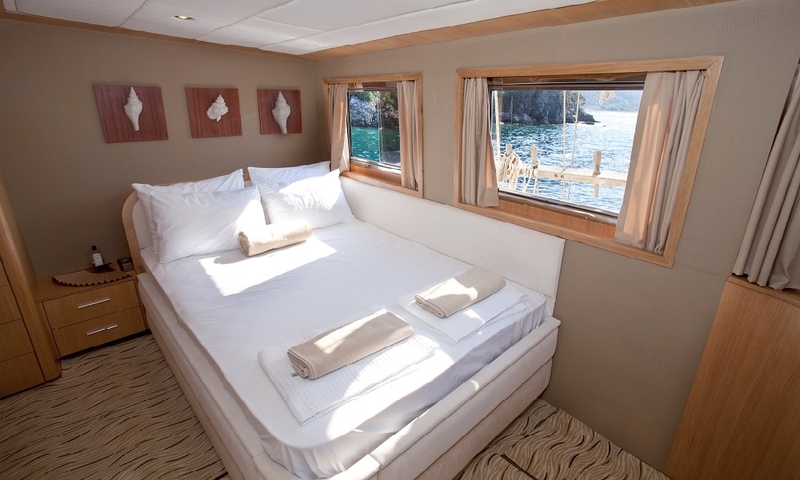 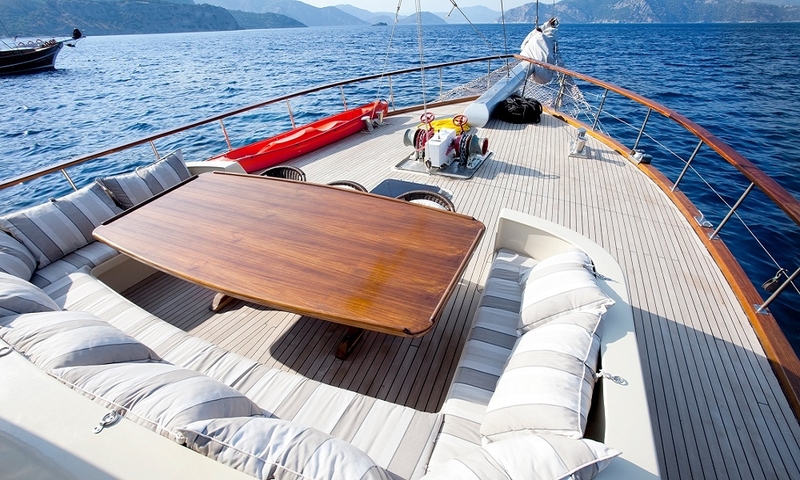 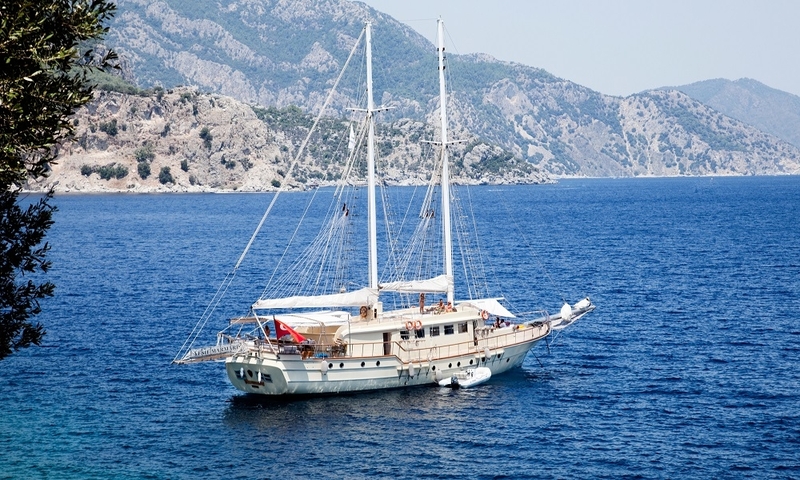 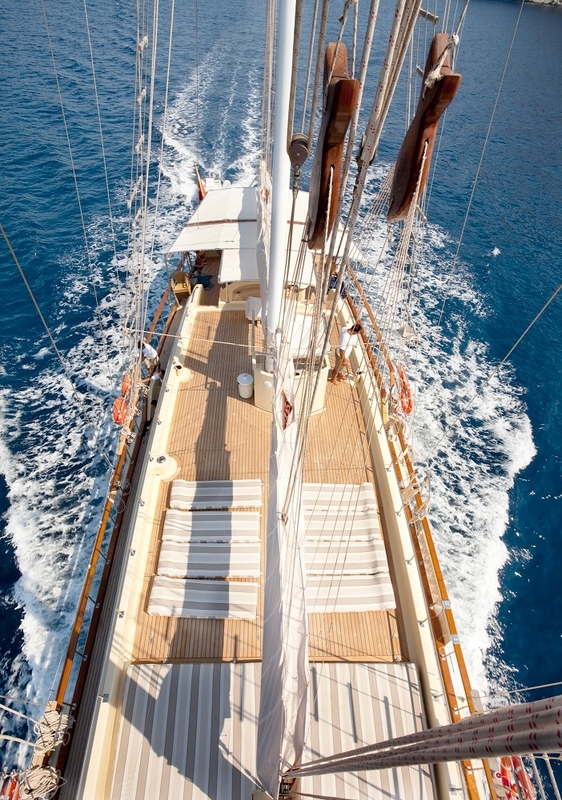 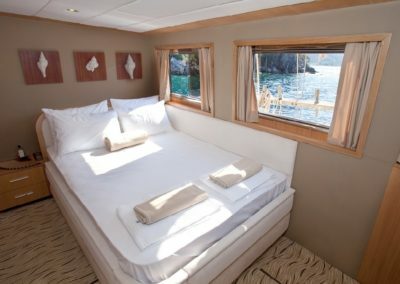 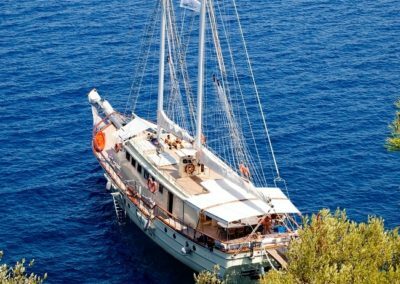 Our gulet was refurbished in year 2011 and has the same luxury of a 5 star hotel. 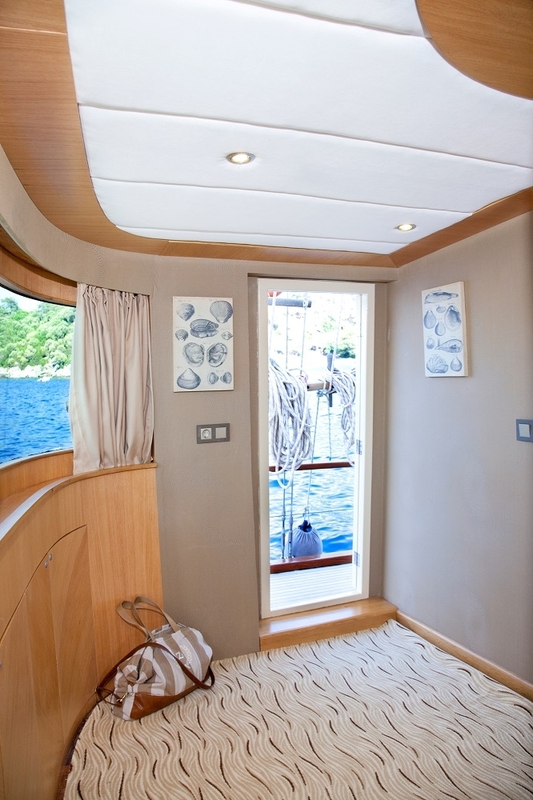 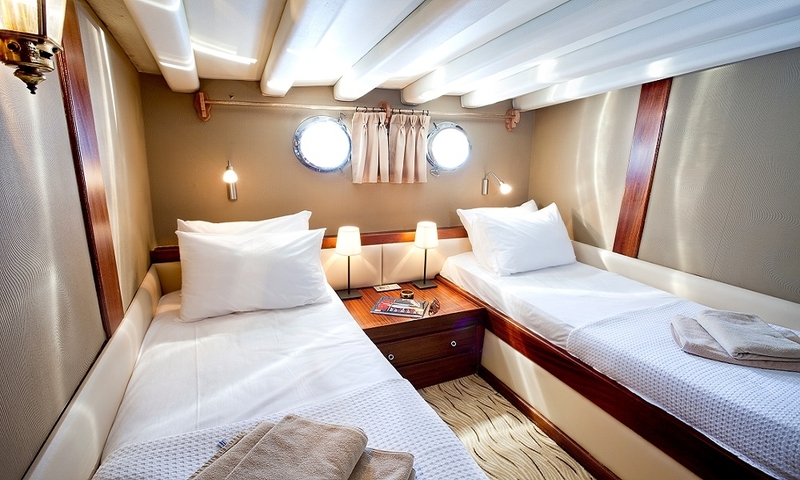 On the upper deck she has 1 master ( 16 m² ), at the lower deck 1 master ( 17.5 m² ), 2 double and 4 twin cabins. 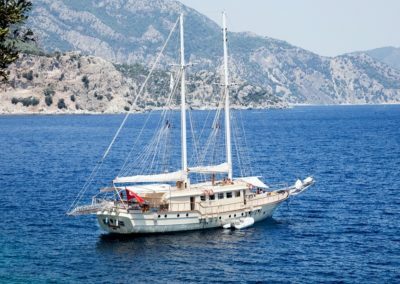 Totally she has a capacity to accommodate up to 16 persons. 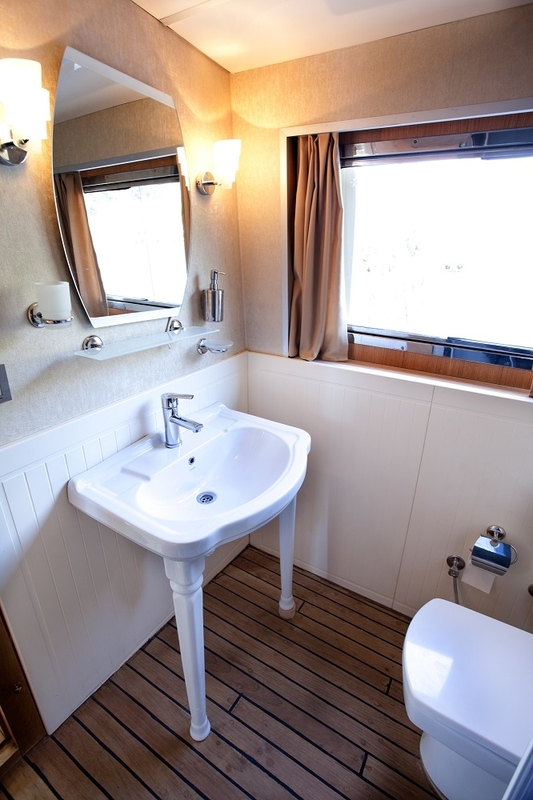 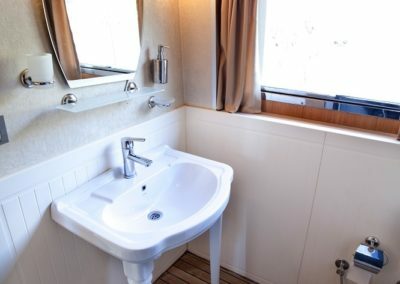 All cabins are first class and are cleaned regularly. 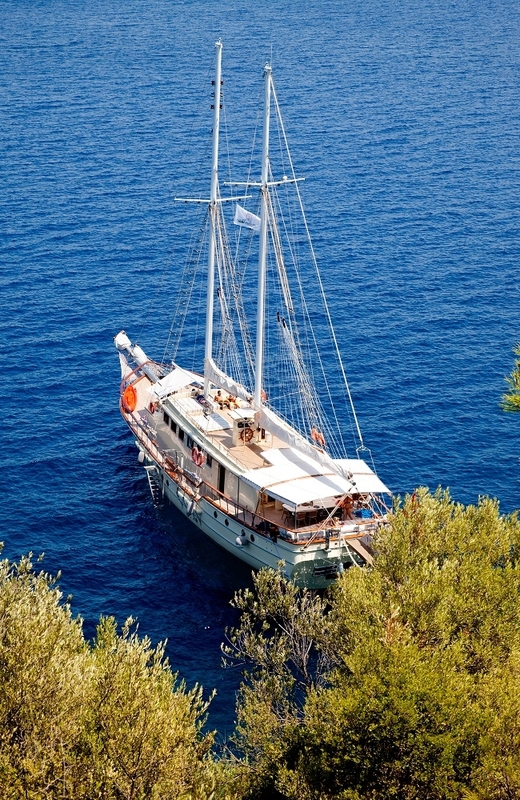 She offers you the opportunity to cruise on Turkish and Greek territorial waters. 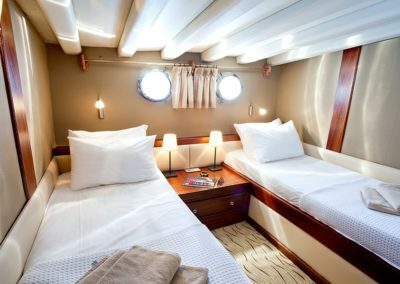 She also provides you an experienced and friendly crew of 4 to accompany you through the whole blue cruise so to leave with unforgettable memories. 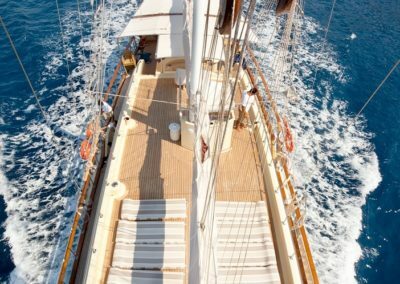 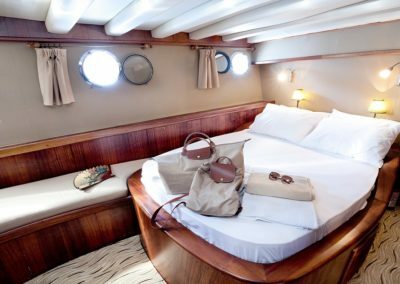 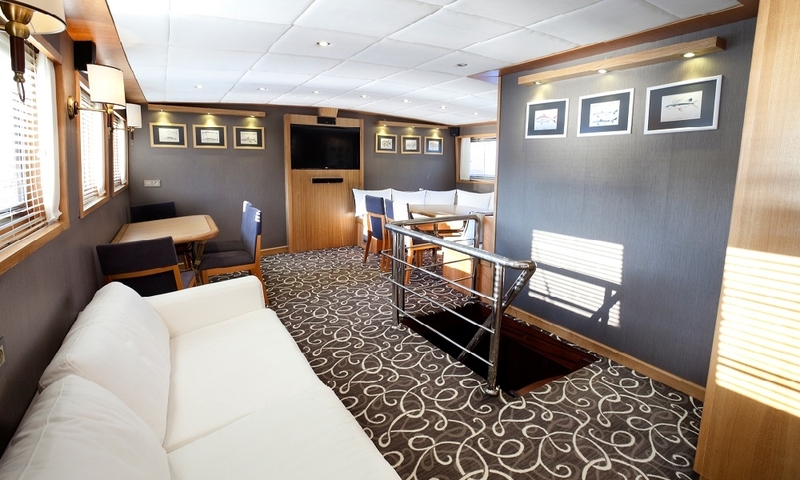 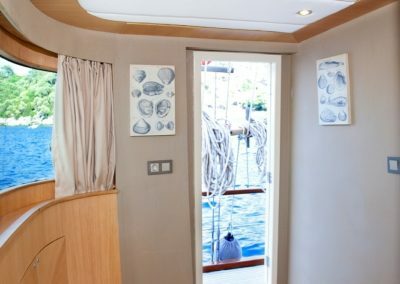 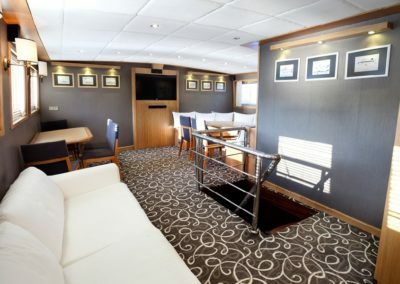 She is renown for her comfortable spacious living areas, depending on the weather conditions she also is available to sail.